“Made in Mauritius”, a label that your family and friends will definitely appreciate! Shopping experiences in Mauritius are absolutely amazing: ranging from shopping in a relaxed atmosphere in shopping centers, doing duty-free shopping or shopping in craft markets or even buying artisanal objects from hawkers on the beach or on streets. For those who have a soft corner for small replicas of ship models, you will surely appreciate the art work of local craftsmen who specialize in making these replicas representing the marine historical stories of Mauritius. You, ladies, prepare to be dazzled by our Diamond factory where you will surely be impressed by the amazing skills of our craftsmen! The touristic village of Grand Bay offers large varieties and categories of interesting commodities to buy. There are two modern shopping complexes: the Super U complex which includes a large supermarket and also a selection of small shops, and the new “Grand Bay Plaza” situated at the main crossroad of Grand Bay near the traffic light. Grand Bay also offers many street shops such as the Sunset Boulevard street shopping complex consisting of many top textile shops, jewelry shops and many additional shops selling both Mauritian made products and imported products. At the sunset boulevard you will find many international brands alongside the top local brands. Also, there are many additional street shops along the Royal Road, which is Grand Bay’s main road. Just off the Royal Road of Grand Bay’s found the main bazaar (also known as the Grand Bay market), offering many traditional Mauritian products and local handcrafts. When shopping in Grand Bay one can find luxury clothing, jewelry and handmade products there. The duty free shops enable cheap shopping with great value products. Heading north east of Grand Bay found the small village of Goodlands, where lots of traditional Indian clothing along with local clothing for all ages are available. There are many shops found along Goodlands’ main street thus many local and hand made products can be found in close proximity. Arsenal, situated between Triolet and Terre-Rouge consists of branded shops, cashmere clothing shops, and artisanal products. There is also luxury lighting products stores in which fascinating illumination lamps and products can be acquired. Arsenal is considered an ideal shopping destination for high-end products. Port-Louis which is the capital of the island provides lots of small as well as big malls to shop. It is home to more than 100 small retail shops including typical Chinese shops selling herbs, and Chinese origin products or typical small shops selling clothing. 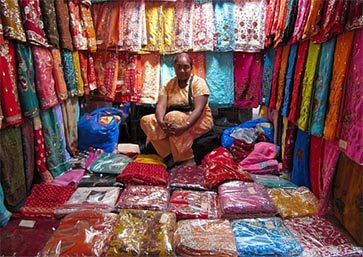 The Port Louis main market (also known as the Port Louis main bazaar) is is a treat with its exotic fish and vegetables, saris, t-shirts, baskets, wooden and traditional handicraft products, local jewelries and souvenirs at very low price. The Port Louis main market is the ideal place to find many local made products, textiles, Mauritian spices, fruits and many souvenirs for very cheap prices. Next to the market found the large shopping mall, ‘Le Caudan Waterfront’ where there are luxurious stalls, shops, craft market, food court, restaurants in one place. The Le Caudan Waterfront shopping complex with its 170 boutiques is a shopper's must visit. 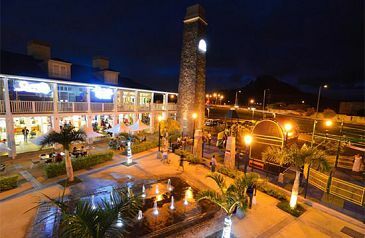 The Caudan shopping center has become an essential actor of the vivid tourism and cultural life in Mauritius. Another attractive shopping mall in Port Louis is the Happy World House where branded clothing, jewelries, perfumes, and mobile phone accessories are found. For those looking for the more traditional and local made products the Port Louis craft market is a must place to visit. The craft market is a hive of activity with wonderful ambiance where you are sure to find a lot of souvenirs for the family back home. 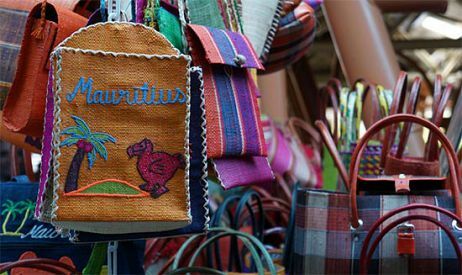 The craft market offers many Mauritius local made products and souvenirs all under one roof. The city of Curepipe is located in the district of Plaines Wilhems. It is the second city in size and importance after Port Louis. Curepipe is a great place for shopping where you will find many duty free shops, modern clothing shops, Indian wear clothing shops and many more. There is a ship model boutique available along with large arcades, shopping complexes and the Curepipe market, where affordable things can be bought. The town of Floreal also situated in the district of Plaines Wilhems offers you a selection of local handcrafts workshops and factory shops, such as the wool factory, a model boats workshop (the biggest and most famous one in Mauritius), a diamond cutting workshop and more. Many of the boutiques and factory shops in Floreal offer a vast range of products. You will be able to purchase at competitive prices handmade crafts, watches, paintings, top designer garments and many more, all directly from the manufactures. The Floreal Square is a beautiful destination, which includes a Textile Museum and a shopping complex. The recently opened Floreal textile museum is great place to find 100% Natural Fibers: Wool, Lamb’s wool, Cashmere, Fine Merino, Cotton, Wool, Acrylic, Angora, Linen, Silk and can be found. Phoenix is famous in Mauritius mainly for its beer; with that, Phoenix also offers quite a lot of shopping possibilities. The Mauritius Glass Gallery, this is where skilled craftsmen create unique handmade piece of arts made of glass. The glass gallery is where interesting glass products can be found and bought. You can watch the traditional glass-blowing process or have a glass model made from an imprint of your hand or foot in sand. Beautiful lampshades, stained-glass pictures and assorted vases and drinking vessels are displayed at the glass gallery shop. Phoenix also has two big shopping complexes, the first is the Les Halles Shopping Complex and the second is the Jumbo Center. Both are modern shopping complexes offering many boutiques under one roof. Quatre Bornes which means four boundary stones in French is located in the Upper Plaines Wilhems district. It is considered by many the most happening town in Mauritius. Quatre Bornes is known for its nightlife and its large choice of discos. The main shopping activity is done in the city center on its main street (Saint Jean Street) and at Quatre Bornes’ central market place. Rose-hill has a busy market ('bazaar') on some days of the week where you can buy anything from toothbrushes to clothes and other household items. There are convenient food shops in the shopping centre and numerous arts and crafts, clothes and accessories shops. The bus station is also in the centre and buses take you to Port Louis, to the beach or almost anywhere. They are relatively frequent too. There are some hotels in the area. The residential streets are nice and clean with lots of flowers and corner shops around. All in all, a nice place to visit for a real taste of Mauritian life. 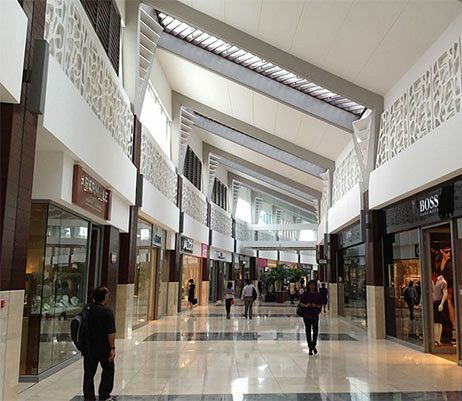 You cannot afford to miss out the brand new Shopping Mall Of Mauritius! The Mall is located in the area of Bagatelle, close to the capital, Port Louis. The Mall is clearly visible next to the M1 highway with easy and convenient access directly from the highway. In the east of the Mauritius the main shopping village is Flacq. Flacq has many shopping stalls, street shops and boutiques. It is also famous for its several Indian wear shops. It is now home to a big Shopping Center, “VIP Center” which has several shops and a spacious food court. The village of Flic En Flac situated along the west coast of Mauritius offers selection lots of sea products, clothing and accessories. The main shopping complex in Flic en Flac is the Pasadena Village Center where some eateries and shopping complexes are found. Flic en Flac also offers many street shops and stalls selling mainly textile products and local souvenirs. The Cascavelle Shopping Mall is one of the main attractions of the village and it offers good outlets for shopping. Black River situated along the west coast at the south west of Mauritius is rapidly growing in size. The main shopping location in Black River is the Ruisseau Creole Commercial Centre which offers selection of boutiques, local brand shops, restaurants and cafes. Its local air architecture offers a very pleasant shopping experience. When shopping in Mauritius do not forget always to try to get discounts on the prices, especially when you purchase items in the markets. The prices may differ from one seller to another so make sure to check and compare prices. Also, do not buy at the first place you see, and when you do buy, always ask for discount! In many occasions and especially in the main markets you can lower the price by 20%-50%! A useful advice would be to always ask if the shops accepts credit cards, (in case no cash available) and if there is any discount when paying in cash versus payment done with credit card. The Mauritius markets as a significant part in the local trading for many years. The local markets tradition started as early as the first port opened in Mauritius. At these times the market was the main place to find all the imported good arriving by the merchant ships and also to find all the local products before these were sent to the harbor for export to Europe. Today Mauritius still kept its long year markets tradition and visiting one of the local markets is a must experience for any visitor of Mauritius. When you visit any of the local markets you are sure to become part of the crowd and take part in the chaotic atmosphere of the busy markets. The markets in Mauritius range from small back street village markets to big town markets full with hundreds of street stall offering many different products. 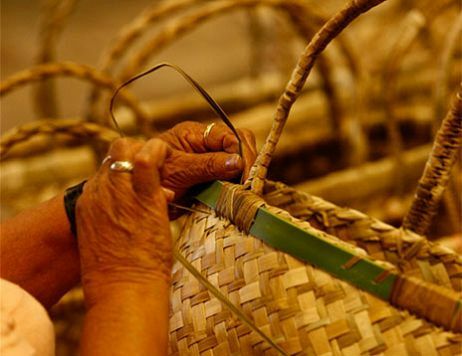 While until several years ago the markets mainly offered local Mauritius made products and food products, today you are sure to find many Mauritius made products along side top international brands. You will be amazed by the bargains offered! Like all the markets around the world, you can expect to find all kinds of Knicks and knacks, from tourist souvenirs, local artworks, textiles, costume jewelry, DVDs, CDs, vegetables, seafood, spices and many more. The markets in Mauritius are also a great place to try the local street food. You should try the local delights sold by food and drinks hawkers. Do not miss the Indian roti (paratha), dholl pourri, samoosa and gato piment, and alouda drink. With that, make sure the food stall is clean and that the seller is popular with the local which is a good sigh for the quality of the food and for providing you with fresh food. The Central Market of Port-Louis (also known at the Port Louis Bazaar) is one of the most crowded markets in Mauritius and the most visited market by tourists. The Port Louis market is the best place to purchase local made products and for trying local made foods. 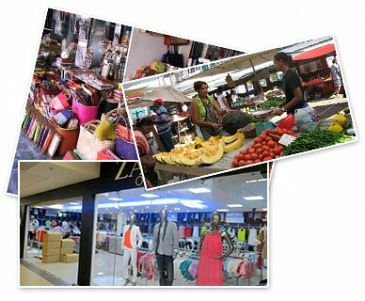 The things on sale here are cheap and the market brings you close to the local life in Mauritius. The market is a very a popular meeting point of locals and tourists. The Port Louis market has several sections, part on the main street and part is a closed market until a big roof. There is a section that sells fruit and vegetables, a section for meat and sea products, an emporium upstairs that sells souvenirs and a section selling clothes. To see all the sections of the market you will have to visit inside the main market building, but also visit the market main yard and also to walk along the main market street. The Port Louis is a great place to find many different interesting products. As for the many textiles found at the market, some of the sellers will insist that they are genuine brands which they have received directly from the factories (the reality is that most of the textiles are actually fakes). You can also find local crafts, religious artifacts, knick-knacks, spices and other artifacts. There is also a food hall that will sell vegetarian food such as Dholl Puri, Biryani, Haleem and selection of additional local dishes. The Quatre Bornes market situated at the very center of Quatre Bornes on the St. Jean Street, is very popular with tourists and locals alike. The market specializes in textiles and clothing including souvenir T shirts, fabrics sold by meter, suits, casual wear and many more. The Flacq Market is the largest outdoor market in Mauritius. 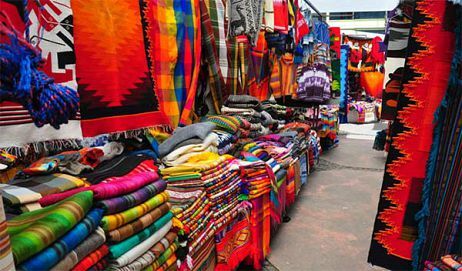 This extremely colorful market attracts a large number of people. Some of the markets stalls open here every day, with that, the best days to visit the market are on Wednesday and Sunday when all the stalls are opened. At the Flacq market you will find textiles, many local fruit and vegetables, fresh fish and seafood and also Vanilla and herbal tea which are two local specialties of the Flacq region. The Mahebourg market is a unique market which is open only once a week on Mondays. On this day the entire area surrounding the Mahebourg Waterfront area is transformed into a huge open air flea market where you can find many great bargains, local handcrafts and fantastic souvenirs of Mauritius. The Mahebourg market has great variety on offer ranging from traditional Indian and Chinese wares, to vegetables, fruits, local spices, electronics and many more. The Mahebourg market also has a section for traditional where you are sure to find Biryani, Dholl Puri, Chinese Noodles and many homemade Mauritian and Creole dishes. 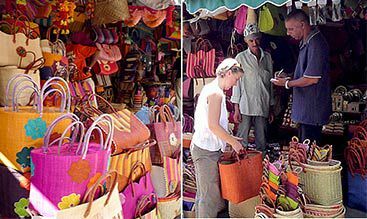 When visiting any of the markets of Mauritius you will find that negotiating is a key part of any purchase. This is why your negotiating skills need to be sharp or you will be caught in a tourist trap. When you will obtain the negotiating skill then you will find that you can get the desired products for almost half the initial price. When negotiating with the seller keep in mind it is best to start very low and then go up. So if the seller wants 1000 Rs, your offer should be something around 300 – 400 Rs. The ideal is to settle at around 500 – 600 Rs. If the seller will not budge, walk away (the seller may come running after you and accept your offer.) 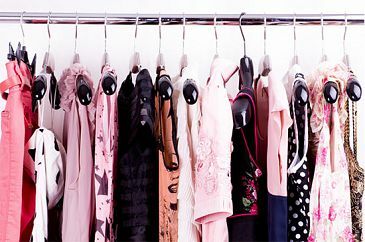 If this is not the case you can either find another stall selling the same product (in most cases you will quickly find such), or you can always make a much higher offer (800 – 900 Rs), which the seller will be sure to accept.